Crafted with the vision of exploring North Bengal and the charm that has entwined around it, the ‘North Bengal Explorea’ – brings to you some charismatic photo-stories that hold the deepest secrets of the interplay of mother nature. 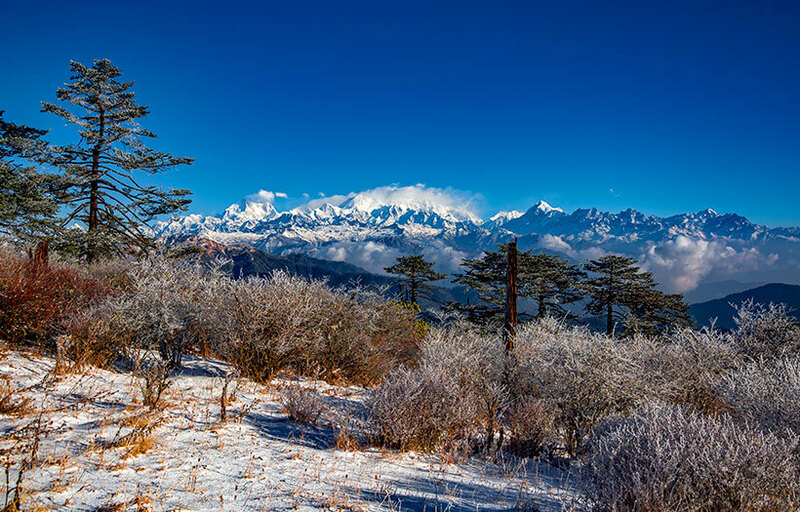 In the arms of the pristine mountain tops clad with snowy peaks, North Bengal Explorea shows the way to the mysteriously veiled avenues and aura of North Bengal. It holds to your hand and evokes within you an experience that every traveler yearns for. Filled with high-quality images throughout, the book takes you through lush green pastures of the north and clusters of wild rhododendrons, crystal clear waterfalls and mountains reflecting the golden hue of the sun. Explorea elicits within one the aesthetics of the region, its less traveled roads, and the local cuisines that add an exceptional flavor to the entire journey. It is a photographic exploration that covers the landscapes of over 27 mesmerizing locations of North Bengal with detailed information about each place. 4. Necessary info at your fingertips – hours of operation, transport suggestions, etc. “This book revolves around our vision and experiences of North Bengal with beautiful pictures and words that would do justice to it. You can say this is another step forward to unveil and explore this paradise-like never and help tourism flourish there. No matter where you are, Bengal or not, India or not- North Bengal must be in every wanderluster’s bucket list and here we are, presenting 1001 reasons for it”, says Mr. Atul Gupta, whose vision of sharing the lesser or the least known places of North Bengal and putting these virgin landscapes before the world, has taken shape in the form of ‘North Bengal Explorea’. Mr. Gupta is the Founder and CEO at InSync Tech-Fin Solutions Ltd. and Managing Trustee at Inspiria Knowledge Campus. His forefathers belonging to this region has been another reason to explore those places of North Bengal that have remained untouched over the years. His initiative of ‘1001 things’, a collaboration of the Inspiria Knowledge Campus has molded his vision to be put in the shape of this book.